So weird, so absurd, so dystopian. Extremely "artsy," which isn't a particularly bad thing, except that here, well, it's just so dang miserable and bleak and unceasingly nihilistic that it's virtually irredeemable. Admittedly, there are a few moments that are laugh-out-loud riotous, and many more that are downright disturbing. There are also, however, some rather clever turns and enjoyable moments, but they are fleeting. At times, I completely lost hope. Other times, I was intrigued and buoyant and thought we'd turned a corner...only to find ourselves back in a deep, loamy hole. To be fair, I was glued to the screen the entire time, regardless the atmosphere. 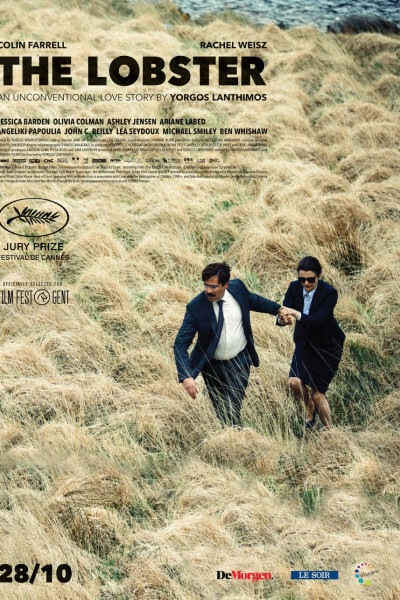 I give The Lobster major props for creativity, and a few killer one-liners, but on the whole it's just too depressing to enjoy in any meaningful way, as if screenwritten by Schopenhauer, Nietzsche, and Heidegger after a long, boozy night. John C. Reilly, however, is luminescent here, in the most quirky, delightful way. I could have watched his character for hours. Ben Whishaw, 007's quartermaster ("Q"), is also rather entertaining, in the most deadpan way.